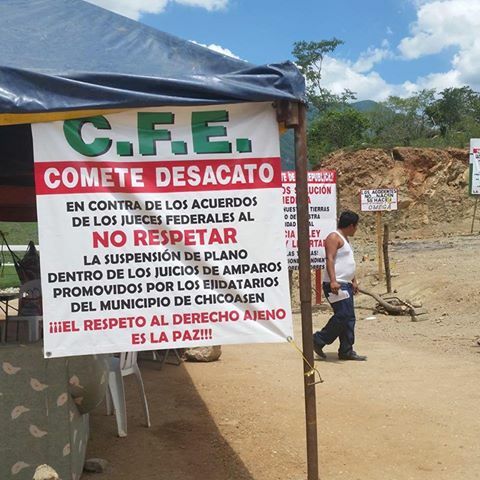 On 23 April, families who have been displaced from the Busiljá and Cintalapa ejidos (Ocosingo municipality), publicly denounced that agents of the Public Ministry (which belongs to the State Attorney General’s Office of Chiapas, PGJE) in Ocosingo had pressured and threatened Mrs. Elena Morales Gutiérrez to sign a document affirming knowledge of the whereabouts of her daughter Gabriela Sánchez Morales, who was kidnapped in 2011. 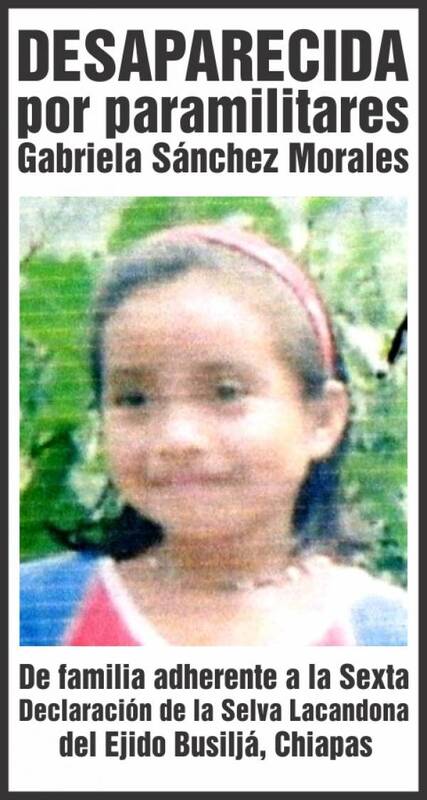 Regardless, in a denunciation the families claim now that the girl still has not been located. It should be noted that the Inter-American Commission on Human Rights (IACHR) has awarded the precautionary measures requested by the family of the minor. Furthermore, those displaced expressed their disappointment with the lack of execution of penal action against the presumed kidnappers. In this sense, they indicate that “the PGJE seeks to trick the Inter-American Commission on Human Rights,” given that the PGJE must inform the IACHR on progress in the investigations. On 10 April, some 400 persons marched in the El Bosque municipality to demand the release of professor Alberto Patishtán Gómez, who was “unjustly” been incarcerated in prison no. 5 of San Cristóbal de Las Casas for nearly 13 years, accused of having participated in an ambush that resulted in the death of 7 police officers. 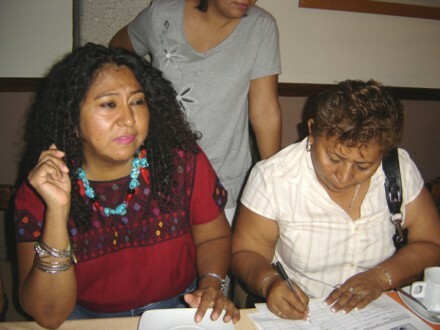 “All indigenous people feel incarcerated, rejected, and discriminated against” with his imprisonment, as protestors noted in a letter directed to the magistrates of the First Collegiate Tribunal of the Twentieth Circuit, which shortly will resolve whether or not to release the teacher. 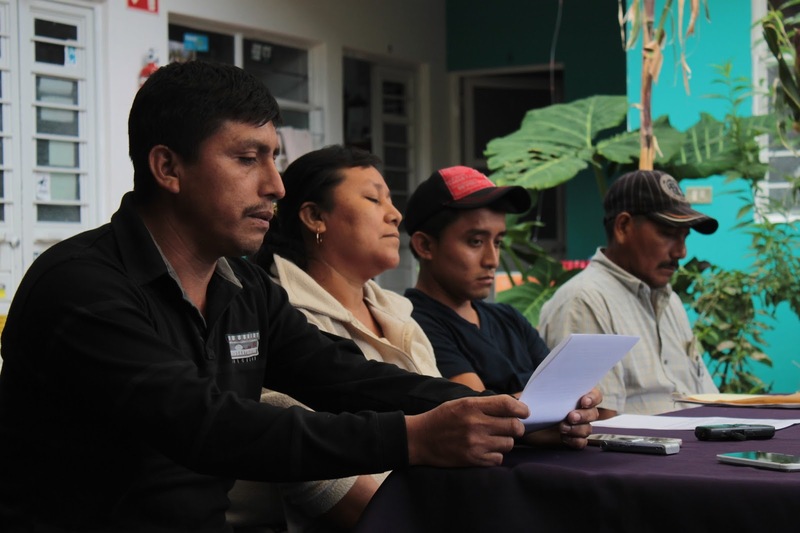 This letter arrived on 11 April, organized by relatives of Patishtan and the Movement of the People of El Bosque in favor of the release of Alberto Patishtán Gómez; it counted approximately 5000 signatures. For its part, the Fray Bartolome de Las Casas Center for Human Rights (CDHFBC) published petitions for Patishtan on Avaaz.org and Change.org, to be presented before the magistrates. 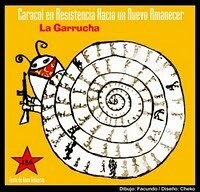 Beyond this, the actions for professor Patishtán continue. Within prison no. 5, Patishtán Gómez announced the close of a second week of hunger-strike that will continue with two silent marches within the prison, on 13 and 14 April. In solidarity, Enrique Gómez Hernández will be participating in the hunger strike from 11 to 19 April in the Amate prison no. 4 in Cintalapa. On 19 April is planned a pilgrimage in Tuxtla Gutierrez, the day that Alberto Patishtán will have his forty-second birthday.